Specialization: "Deep-Sea Navigation", "Cargo transportation, Chartering and Agency Service"
The profession of a navigator is extremely crucial on board a ship; it requires comprehensive education. 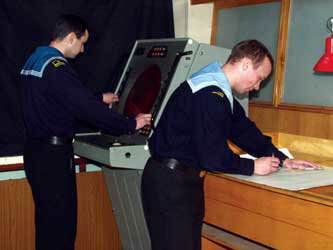 Navigators' service has always been a synthesis of knowledge of numerous fundamental sciences and modern technologies. 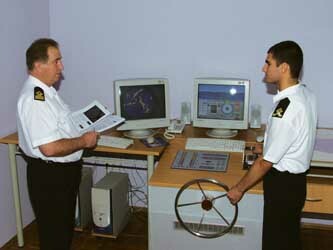 Training course of future navigators includes English Language, Navigation, Pilotage, Nautical Astronomy, Ship Construction, Maritime International Law, Ship Control, Economics, Management of Fleet and Technology Cargo Carriage, Commercial Operation of a Vessel and some other disciplines, which form knowledge and skills, necessary for a future leader. 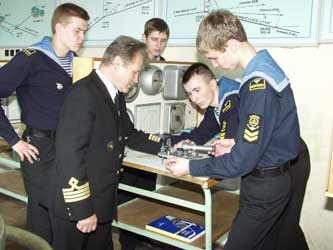 The currulum makes a provision of shipboard training onboard sea going ships, which is 12 months long. After four years of studies a cadet is granted a bachelor's degree (diploma), an international certificate of competency and all necessary certificates, required for performing the duties of officer in charge of a navigational watch. Graduates having bachelor's degree may go on with their studies up to the level of a specialist or a master. The term of studies is 1.5 years. The certificate of specialist or master allows professional growth up to the rank of deep sea captain. 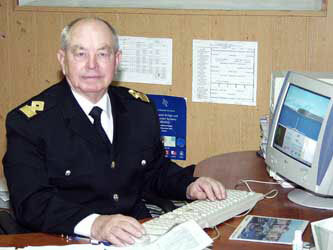 The graduates of the faculty successfully work both on board sea-going ships and in many branches of the industry, as well as at many management positions.